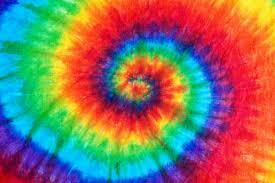 For hand dyeing I charge $50.00 per hour plus mileage. Please realize that this hourly fee includes set up on my end and preparation for the dye day. Also, I will need a helper on the day for set up and take down, otherwise I charge an additional fee for set up and clean up. 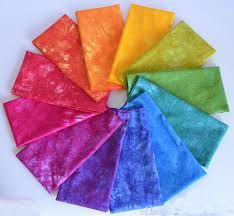 The type of dyeing I teach quilters is using a synthetic dye – not natural dyes - on cotton fabric. Procyon Mix Dyes are dependable, colourfast and wash fast. So the participants are assured success I provide kits that include Prepared For Dyeing Fabric. 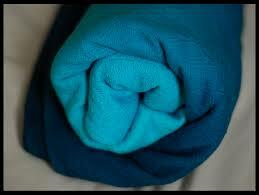 Fabric, dye and dye auxilaries are included with the cost of the kit. * A helper in good physical condition who is willing to lug boxes and clean up spills. As well, zip lock sandwich baggies for carrying home their dyed fabric.